ISLAMABAD: The Supreme Court on Wednesday, setting aside the lower courts' orders, acquitted Asia Bibi in a blasphemy case. A three-judge special bench, headed by Chief Justice of Pakistan Mian Saqib Nisar and comprising Justice Asif Saeed Khosa and Justice Mazhar Alam Khan Miankhel, announced the reserved judgment. The 56-page detailed judgement was authored by Chief Justice Mian Saqib Nisar and included a concurrent opinion by Justice Asif Saeed Khosa. 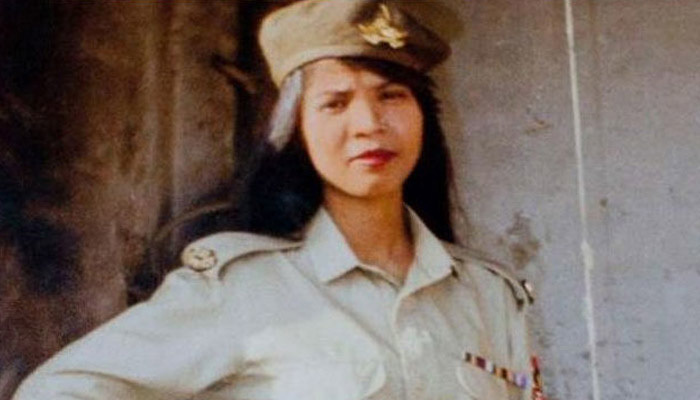 Asia Bibi had filed appeal in 2014 challenging her death sentence awarded by trial court as well as by high court under Section 295-C of the Pakistan Penal Code (PPC). The chief justice penned that it was a “well settled principal of law that the one who makes an assertion has to prove it. Thus, the onus rests on the prosecution to prove guilt of the accused beyond reasonable doubt throughout the trial. "Presumption of innocence remains throughout the case until such time the prosecution on the evidence satisfies the Court beyond reasonable doubt that the accused is guilty of the offence alleged against him", the CJ added. Where there is any doubt in the prosecution story, benefit should be given to the accused, which is quite consistent with the safe administration of criminal justice" the judgment said. In Justice Khosa’s opinion: "Blasphemy is a serious offence but the insult of the appellant’s religion and religious sensibilities by the complainant party and then mixing truth with falsehood in the name of the Holy Prophet Muhammad (Peace Be Upon Him) was also not short of being blasphemous. "He added "for what has been discussed in the case, a conclusion is inescapable and irresistible that the prosecution had failed to prove its case against the appellant beyond reasonable doubt". The appeal is, therefore, allowed, the conviction and sentence of the appellant recorded and upheld by the courts below, are set aside and she is acquitted of the charge by extending the benefit of doubt to her, the apex court ruled. The order read: "It is a well settled principle of law that one who makes an assertion has to prove it. Thus, the onus rests on the prosecution to prove guilt of the accused beyond reasonable doubt throughout the trial. "Presumption of innocence remains throughout the case until such time the prosecution on the evidence satisfies the Court beyond reasonable doubt that the accused is guilty of the offence alleged against him. There cannot be a fair trial, which is itself the primary purpose of criminal jurisprudence, if the judges have not been able to clearly elucidate the rudimentary concept of standard of proof that prosecution must meet in order to obtain a conviction. Two concepts i.e., “proof beyond reasonable doubt” and “presumption of innocence” are so closely linked together that the same must be presented as one unit. If the presumption of innocence is a golden thread to criminal jurisprudence, then proof beyond reasonable doubt is silver, and these two threads are forever intertwined in the fabric of criminal justice system. As such, the expression "proof beyond reasonable doubt" is of fundamental importance to the criminal justice: it is one of the principles which seeks to ensure that no innocent person is convicted. Where there is any doubt in the prosecution story, benefit should be given to the accused, which is quite consistent with the safe administration of criminal justice. Further, suspicion howsoever grave or strong can never be a proper substitute for the standard of proof required in a criminal case, i.e. beyond reasonable doubt. In the presence of enmity between the accused and the complainant/witnesses, usually a strict standard of proof is applied for determining the innocence or guilt of the accused. If the PWs are found inimical towards the accused, she deserves acquittal on the principle of the benefit of the doubt. Keeping in mind the evidence produced by the prosecution against the alleged blasphemy committed by the appellant, the prosecution has categorically failed to prove its case beyond reasonable doubt. Reliance in this behalf may be made to the cases reported as Muhammad Ashraf Vs. The State (2016 SCMR 1617), Muhammad Jamshaid Vs. The State (2016 SCMR 1019), Muhammad Asghar alias Nannah Vs. The State (2010 SCMR 1706), Noor Muhammad alias Noora Vs. The State (1992 SCMR 2079) and Ayub Masih Vs. The State (PLD 2002 SC 1048)."